As reported over at Lost Remote, Qik, the video broadcasting site, are very close to launching a nifty application to allow users stream straight from their iPhones. This video discusses how the application will also make use of GPS to further improve user interaction. This entry was posted in Mobile, Online Journalism and tagged GPS, iPhone, Lost Remote, Qik, Video, video broadcasting site on October 21, 2008 by Judith Townend. The BBC’s business and economics unit has embarked on a new multimedia editorial project aimed at improving the storytelling of economic news. The Box initiative is an attempt to ‘come up with a way of telling the real story of what’s happening in the global economy in a tangible, challenging and ambitious way’ across multiple BBC platforms, Jeremy Hillman, editor of the business and economics unit, writes on the BBC Editors Blog. The box of the title refers to a BBC-branded shipping container equipped with a GPS transmitter, which will have its international journey tracked, updated and mapped on its own webpage. “The journey this container follows over the next few months will be a real one, and whilst we will control some aspects of the process for logistical reasons, the story it tells will be a truly representative one, painting a picture of what globalisation really means,” writes Hillman. The container began its journey in Southampton yesterday. This entry was posted in Multimedia and tagged BBC, editor of the business and economics unit, GPS, Jeremy Hillman, Mapping, representative, Southampton on September 9, 2008 by Laura Oliver. Hot on the heels of last week’s Knight News Challenge winners, two foundations have released details of journalism projects to receive funding. New Voices – a project from the University of Maryland’s interactive journalism institute – has awarded funding of $17,000 each to 10 citizen media start-ups. The recipients include: Cool State Online, a Californian project to set up micro bureaux covering news from the Asian and Latino communities; The Appalachian Independent, an online newspaper for the rural community in Maryland; and Family Life Behind Bars, a site where the families of prisoners can share information and experiences. The progress of the winners (listed in full in a press release) can be viewed on the New Voices website. Meanwhile, University of Central Lancashire journalism lecturer Andy Dickinson is to receive funding from journalism lab Sandbox for a project mapping the movements of local reporters in their communities. 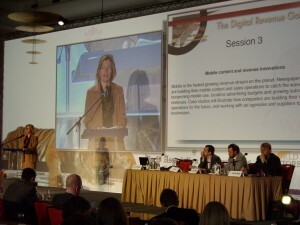 Reporters from print, radio and TV would be equipped with GPS devices to monitor their movements on a normal working day, explains Dickinson in a blog post. “The project would then attempt to develop a matrix that visually demonstrated when and where the news agendas of local communities and those of professional media organizations coincide, with a view to examining the range of elements that lead to this juxtaposition. Congratulations to Andy – we’re already looking forward to the results. This entry was posted in Citizen journalism and tagged Andy Dickinson, Andy Dickinson Hot, Awards, citizen media start-ups, GPS, Mapping, Maryland, media organizations, online newspaper, professional media organizations, The Appalachian Independent, University of Central Lancashire, University of Maryland, USD on May 19, 2008 by Laura Oliver. 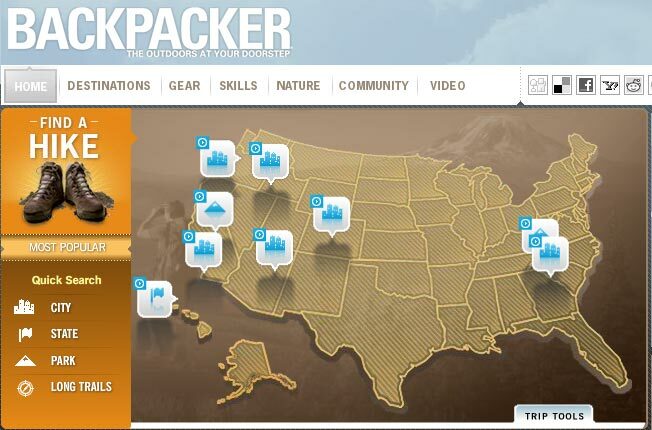 Backpacker magazine has relaunched its website, which now contains new multimedia and GPS supported content. The site features an interactive map containing more than 1200 GPS-supported hikes, expert blogs and on-the-scene video. “Our primary focus was to create the ultimate outdoor adventure renaissance experience on the web” said editor Anthony Cerretani in a press release. The American site was rebuilt from the ‘bottom up’ responding to readers’ ideas for the new look. The site will now update its content daily and make use of social media tools including RSS feeds, del.icio.us and Facebook. This entry was posted in Magazines, Multimedia and tagged Anthony Cerretani, Backpacker, Backpacker.com, editor, Facebook, GPS, launch, Mapping, social media tools on April 29, 2008 by ruth morgan.